Match ends, PEC Zwolle 1, Vitesse 5. Second Half ends, PEC Zwolle 1, Vitesse 5. Attempt blocked. Lars Veldwijk (PEC Zwolle) right footed shot from the centre of the box is blocked. Assisted by Ryan Thomas with a cross. Corner, PEC Zwolle. Conceded by Eloy Room. Attempt saved. Abdelmalek El Hasnaoui (PEC Zwolle) left footed shot from outside the box is saved in the bottom right corner. Assisted by Ryan Thomas. Offside, Vitesse. Marvelous Nakamba tries a through ball, but Nathan is caught offside. Attempt blocked. Danilo Pantic (Vitesse) right footed shot from outside the box is blocked. Assisted by Marvelous Nakamba. Attempt missed. Trent Sainsbury (PEC Zwolle) header from very close range is too high. Assisted by Bart van Hintum with a cross following a corner. Corner, PEC Zwolle. Conceded by Kevin Diks. Foul by Guram Kashia (Vitesse). Ryan Thomas (PEC Zwolle) wins a free kick in the defensive half. Attempt saved. Abiola Dauda (Vitesse) right footed shot from the centre of the box is saved in the top right corner. Assisted by Kevin Diks. Attempt blocked. Nathan (Vitesse) right footed shot from the left side of the box is blocked. Assisted by Milot Rashica. Corner, PEC Zwolle. Conceded by Kelvin Leerdam. Foul by Kelvin Leerdam (Vitesse). Kingsley Ehizibue (PEC Zwolle) wins a free kick on the right wing. Attempt missed. Lars Veldwijk (PEC Zwolle) left footed shot from the left side of the box is close, but misses to the right. Assisted by Queensy Menig. Trent Sainsbury (PEC Zwolle) is shown the yellow card for a bad foul. Lewis Baker (Vitesse) wins a free kick in the attacking half. Foul by Trent Sainsbury (PEC Zwolle). Substitution, Vitesse. Abiola Dauda replaces Dominic Solanke. Goal! PEC Zwolle 1, Vitesse 5. Milot Rashica (Vitesse) right footed shot from the right side of the box to the bottom right corner. Assisted by Guram Kashia. Substitution, Vitesse. Danilo Pantic replaces Valeri Qazaishvili. Kingsley Ehizibue (PEC Zwolle) hits the bar with a right footed shot from the centre of the box. Assisted by Ryan Thomas with a cross following a corner. Attempt blocked. Kingsley Ehizibue (PEC Zwolle) header from the centre of the box is blocked. Assisted by Ryan Thomas with a cross. Corner, PEC Zwolle. Conceded by Maikel van der Werff. Attempt missed. Nathan (Vitesse) right footed shot from outside the box is high and wide to the right. Assisted by Kelvin Leerdam. Offside, PEC Zwolle. Bart van Hintum tries a through ball, but Trent Sainsbury is caught offside. Substitution, Vitesse. Nathan replaces Denys Oliynyk. Substitution, PEC Zwolle. Kingsley Ehizibue replaces Wouter Marinus. Foul by Maikel van der Werff (Vitesse). Lars Veldwijk (PEC Zwolle) wins a free kick on the right wing. Bram van Polen (PEC Zwolle) wins a free kick in the defensive half. Foul by Dominic Solanke (Vitesse). Attempt blocked. Maikel van der Werff (Vitesse) right footed shot from outside the box is blocked. Assisted by Lewis Baker. Substitution, PEC Zwolle. Abdelmalek El Hasnaoui replaces Sheraldo Becker. Foul by Wouter Marinus (PEC Zwolle). Corner, Vitesse. Conceded by Wouter Marinus. Attempt blocked. Valeri Qazaishvili (Vitesse) left footed shot from the centre of the box is blocked. Assisted by Marvelous Nakamba. Attempt saved. Dominic Solanke (Vitesse) left footed shot from the centre of the box is saved in the bottom right corner. Assisted by Lewis Baker. Hand ball by Guram Kashia (Vitesse). Goal! PEC Zwolle 1, Vitesse 4. Denys Oliynyk (Vitesse) converts the penalty with a right footed shot to the centre of the goal. Ouasim Bouy (PEC Zwolle) is shown the red card. Penalty conceded by Ouasim Bouy (PEC Zwolle) after a foul in the penalty area. Penalty Vitesse. Denys Oliynyk draws a foul in the penalty area. Attempt blocked. Milot Rashica (Vitesse) right footed shot from the right side of the box is blocked. Attempt saved. Valeri Qazaishvili (Vitesse) right footed shot from the centre of the box is saved in the centre of the goal. Assisted by Dominic Solanke. Offside, Vitesse. Kelvin Leerdam tries a through ball, but Dominic Solanke is caught offside. Bram van Polen (PEC Zwolle) hits the left post with a right footed shot from the right side of the box. Assisted by Ouasim Bouy. Sheraldo Becker (PEC Zwolle) wins a free kick on the right wing. Second Half begins PEC Zwolle 1, Vitesse 3. First Half ends, PEC Zwolle 1, Vitesse 3. Attempt saved. Wouter Marinus (PEC Zwolle) right footed shot from the centre of the box is saved in the centre of the goal. Assisted by Queensy Menig with a cross. Wouter Marinus (PEC Zwolle) wins a free kick on the left wing. Foul by Marvelous Nakamba (Vitesse). Attempt saved. Lars Veldwijk (PEC Zwolle) right footed shot from the centre of the box is saved in the top centre of the goal. Assisted by Wouter Marinus. Goal! 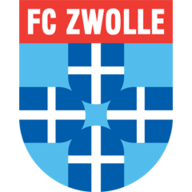 PEC Zwolle 1, Vitesse 3. Valeri Qazaishvili (Vitesse) right footed shot from the centre of the box to the bottom left corner. Attempt saved. Kevin Diks (Vitesse) right footed shot from the right side of the box is saved in the centre of the goal. Ryan Thomas (PEC Zwolle) is shown the yellow card for a bad foul. Foul by Ryan Thomas (PEC Zwolle). 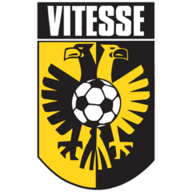 Milot Rashica (Vitesse) wins a free kick on the right wing. Attempt missed. Trent Sainsbury (PEC Zwolle) left footed shot from outside the box misses to the right. Attempt missed. Guram Kashia (Vitesse) header from the right side of the six yard box is close, but misses to the right. Assisted by Denys Oliynyk with a cross following a corner. Corner, Vitesse. Conceded by Mickey van der Hart. Attempt saved. Valeri Qazaishvili (Vitesse) right footed shot from outside the box is saved in the bottom left corner. Assisted by Lewis Baker. Attempt missed. Thomas Lam (PEC Zwolle) right footed shot from the centre of the box misses to the right. Assisted by Bart van Hintum with a cross following a corner. Corner, PEC Zwolle. Conceded by Milot Rashica. Attempt saved. Lewis Baker (Vitesse) left footed shot from outside the box is saved in the top left corner. Assisted by Marvelous Nakamba. Attempt blocked. Bram van Polen (PEC Zwolle) right footed shot from outside the box is blocked. Marvelous Nakamba (Vitesse) wins a free kick on the left wing. Foul by Ouasim Bouy (PEC Zwolle). Attempt blocked. Marvelous Nakamba (Vitesse) left footed shot from outside the box is blocked. Assisted by Lewis Baker. Foul by Denys Oliynyk (Vitesse). Substitution, PEC Zwolle. Queensy Menig replaces Rick Dekker because of an injury. Delay in match Rick Dekker (PEC Zwolle) because of an injury. Attempt missed. Lars Veldwijk (PEC Zwolle) header from the centre of the box misses to the right. Assisted by Bram van Polen with a cross. Milot Rashica (Vitesse) wins a free kick in the defensive half. Foul by Bart van Hintum (PEC Zwolle). Goal! PEC Zwolle 1, Vitesse 2. Dominic Solanke (Vitesse) converts the penalty with a right footed shot to the bottom left corner. Thomas Lam (PEC Zwolle) is shown the yellow card for hand ball. Penalty conceded by Thomas Lam (PEC Zwolle) with a hand ball in the penalty area. Attempt blocked. Milot Rashica (Vitesse) right footed shot from outside the box is blocked. Assisted by Maikel van der Werff. Attempt blocked. Sheraldo Becker (PEC Zwolle) left footed shot from outside the box is blocked. Assisted by Ouasim Bouy. Goal! PEC Zwolle 1, Vitesse 1. Thomas Lam (PEC Zwolle) left footed shot from the centre of the box to the top left corner following a set piece situation. Attempt saved. Milot Rashica (Vitesse) right footed shot from the right side of the box is saved in the centre of the goal. Assisted by Guram Kashia. Attempt missed. Wouter Marinus (PEC Zwolle) right footed shot from outside the box is close, but misses to the left. Assisted by Trent Sainsbury. Lars Veldwijk (PEC Zwolle) wins a free kick in the attacking half. Foul by Kevin Diks (Vitesse). Denys Oliynyk (Vitesse) wins a free kick in the attacking half. Attempt missed. Ouasim Bouy (PEC Zwolle) header from very close range misses to the right. Assisted by Sheraldo Becker with a cross. Offside, Vitesse. Lewis Baker tries a through ball, but Dominic Solanke is caught offside. Goal! PEC Zwolle 0, Vitesse 1. Lewis Baker (Vitesse) from a free kick with a right footed shot to the bottom right corner. Valeri Qazaishvili (Vitesse) wins a free kick in the attacking half. Foul by Thomas Lam (PEC Zwolle). Attempt saved. Denys Oliynyk (Vitesse) right footed shot from the centre of the box is saved in the bottom right corner. Attempt blocked. Milot Rashica (Vitesse) right footed shot from the centre of the box is blocked. Assisted by Dominic Solanke.